When parents separate or divorce, making decisions regarding custody can be challenging and stressful. Courts have recognized that it is important for a minor child to have both of his or her parents involved in his or her life. Physical Custody: The parent that the child lives with has physical custody. Legal Custody: The parent with the authority to make major life decisions regarding the child’s education, medical care, etc. has legal custody. When making custody determinations, North Carolina courts base its decision on what is in the child’s best interest. 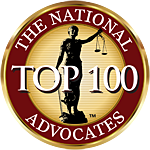 North Carolina does not have a specific list of “best interest” factors, which makes having the right attorney all the more important. At Fisher Law Group, we have experienced attorneys able to work with you to create a case plan. It is important that you have the knowledge and resources to help you resolve any custody issues in the most productive way for you and your family. When parents are dealing with separation or divorce, ensuring financial stability for their minor children is paramount. Knowing how the process works and how child support is calculated can help relieve some of the stress. At Fisher Law Group, we are dedicated to working with you to ensure your child’s financial stability during these trying times. For a look at the North Carolina Child Support Guidelines and other helpful resources, visit our Resources page here. Every parent has a constitutional right to raise their children as they see fit. When these rights are challenged, it is critical to seek a capable and knowledgeable attorney who is willing to fight for your rights. At Fisher Law Group, our experienced and dedicated attorneys are committed to passionately protecting your rights. We will ensure that you are skillfully represented with a focus on providing you with a favorable resolution. When dealing with that issue of adoption, understanding the process can help relieve the inevitable stress. The adoption process can seem complex and arduous. Having a knowledgable attorney in your corner can make all the difference. When changing a name, the North Carolina Department of Vital Records hold all of the power. Some name changes require only the submission of a form, while others require an order from the court. There are also specific rules regarding a name change for a child or on birth certificate that can add even more complication and headache. At Fisher Law Group, we strive to exceed your expectations and provide you with quick and efficient service. This means less time and stress for you as your case is resolved.